If you can cross „Moving to Munich“ off your to-do list , you made the perfect decision. Whether you are a student or if your job brought you to Munich – you will just love this city. 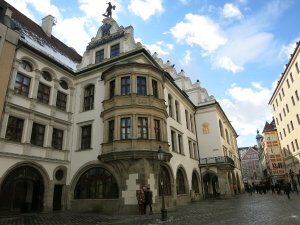 For those planning a permanent stay in the Bavarian capital we have all kinds of useful information and important things to do upon your arrival. Our tips on restaurants and all the things that can be seen and done are nevertheless for all of you (and some people remain students in their heart forever anyways). Munich – roughly 1,5 million inhabitants and Germany’s third biggest city – has the highest quality of life of all major cities in Germany. Green spaces and parks (about 20% of the total area of Munich consists of parks), friendly people (if they’re a real „Münchner„, someone who’s born and raised in Munich – there are not as many of this kind as you think, if they seem impolite, they’re not really), the Bavarian way of life, rural character („Munich is a big village“ – you will hear this saying a lot of times and it’s true! 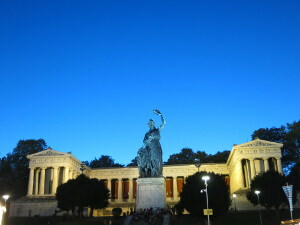 ), and the proximity to the Alps are some of the factors that make life in Munich so unique. If you are thinking about moving to Munich, or if the decision has already been made, you will surely have a great time in the „northernmost city of Italy“ (as Munich is called by many people) and with our help your new life in Munich will get the best start. One thing you need to be aware of when taking moving to Munich into consideration is, that the cost of living in Munich unlike in Berlin for example, is very high. But we’ll discuss more on this and the other little downside of Munich – i.e. the hunt for an affordable flat – later on. Munich is so much more than just an overpriced city with unlimited shopping possibilities, luxury apartments and rich snobbish children spending their rich parents‘ money (as you often hear on television) at P1 (Munich’s No.1 night-destination for rich people’s children looking to spend their parents‘ money). Munich is a vibrant and multicultural city where about 25% of its inhabitants are of foreign origin. 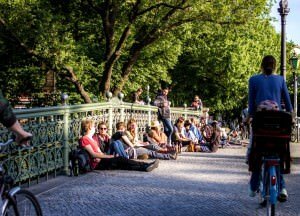 It’s full of cool bars, especially in Schwabing and the Glockenbachviertel, huge parks (the Englischer Garten is bigger than NY’s Central Park), culture (approx. 65 museums including the biggest technical museum in the world) and all kinds of indoor and outdoor activities. 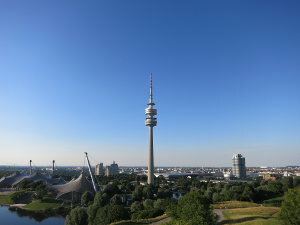 Many major German companies, including Siemens or BMW have their headquarters in Munich, which means that there are many well paid jobs which makes moving to Munich so attractive for a lot of people. But before you can enjoy all the benefits of Munich, you will need to deal with German bureaucracy, which is sometimes very time-consuming and will cost you a decent amount of nerves. But don’t worry, with our help and first hand information you will be settled in the capital of Bavaria in no time and be able to enjoy this unique city to the full. Getting a bank account in Munich should be your No. 1 priority. Without a German bank account you will not be able to rent a flat or sign up with an internet provider, electricity provider or even get a German mobile contract. Continue reading about how to sign up for a bank account in Munich. Insider tip: With DKB – Deutsche Kreditbank you can already sign up for a bank account in Germany from abroad. Other German banks will ask you for a German address, which is kind of a catch 22. As already mentioned, no German bank account means not being able to rent a place in Munich, which means no German bank account. You get the catch. If you have read our insider tip (of course you did, right?) you have already successfully signed up with a German bank and are now able to tackle the biggest obstacle in Munich, which is finding an apartment. In any other city the normal course of action would be to check the usual websites, look at many apartments, and then hopefully get your dream apartment. But Munich is a bit different as there are too many people and not enough places. So if you already know people in Munich ask them to keep an ear out in case they hear something about a place. Insider tip: Check Immowelt for apartments (if you don’t have people who can help you with first hand info about empty flats). Make sure to show up to as many viewings as possible and have all necessary documents ready to hand them in straight away. After taking care of finding your new home in Munich, it is now time to get an internet provider in Munich. 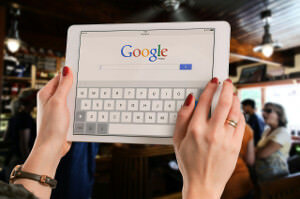 Make sure you’re clear about what you need from your internet provider. 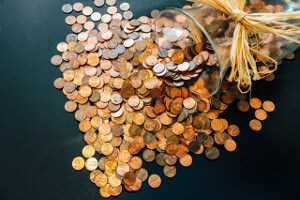 If you only want to check your Facebook messages and emails, then the smallest and cheapest contracts are fine for you. But if you are online 24/7 and possibly stream a lot of movies, you might want to get fast internet (DSL or via cable or glass fiber). Continue reading about the best internet providers in Munich to find the best solution for your needs. Insider tip: 1&1 is probably the best solution for people who need less speed and put more focus on good prices and service, while M-Net offers very fast internet via cable (or glass fiber) for very reasonable prices. Once you move into a new apartment you will automatically be signed up with SWM, which is the Grundversorger in Munich. While this is very convenient it is also costing you a lot of money. Instead of staying with SWM – Stadwerke München – we highly recommend switching to another electricity provider in order to save a lot of money which is better invested in e.g. great food. 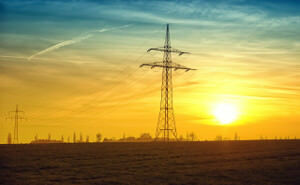 Insider tip: Right now our No.1 pick for electricity provider in Munich is E Wie Einfach . Right now their newest thing are Smart Home contracts that include a Smart Home hub for remote access to all your smart Gadgets at home. Munich has many different neighbourhoods, all of which are very different from one another. If you are a student you might want to live closer to the party areas, while couples with kids might want to enjoy parks and have less noise on the street. Insider tip: Continue reading our detailed section on the most popular neighbourhoods in Munich. German bureaucracy is feared around the world. Even locals constantly get lost in a jungle of paragraphs and things to do. And now multiply German bureaucracy times ten and you have Bavarian bureaucracy. There are some very basic things you need to do. Continue reading our tips about dealing with German bureaucracy and find out what things you need to do straight away after moving to Munich. As already mentioned before, Munich offers a fantastic quality of life for such a big city. It is very clean, safe, and child-friendly. Combined with the fact that there are many well paid jobs in all different kinds of fields, it makes life in Munich very enjoyable. 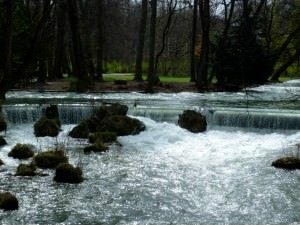 Other factors that positively influence the quality of life in Munich are the Alps, which you can see from Munich already, and the many little and big lakes close to the city. Insider tip: If you don’t have a car you can still take a train to the Alps and enjoy boarding on top of Germany’s highest mountain, the Zugspitze. 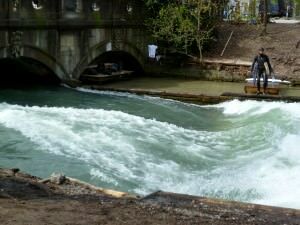 If you need some cool waters in hot summer days, take the S-Bahn to Icking, put your inflatable boat on the Isar and let the current take you on a 4 hour ride back to the city center. Don’t forget to pack sun cream and beer! Find out what are the Top 10 things to see in Munich. Fantastic. There is no other word to describe the weather in Munich. In summer it can get hot for weeks without any rain, while in winter you will have lots of snow and sunny cold days. In summer the weather is similar to the weather in Italy (but slightly less heat), which is one of the reasons why Munich is considered the most Northern Italian city. 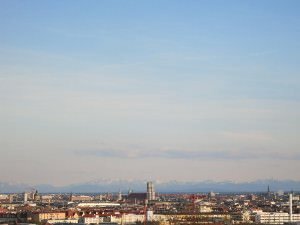 During winter, the ‚Fön‚ (warm stream of air coming from the Alps) can bring lovely weather to Munich, while the rest of Germany suffers unbearable cold. As also mentioned before, you will never get bored in Munich. There are too many things to do and places to see that you might not even be able to see all of them. 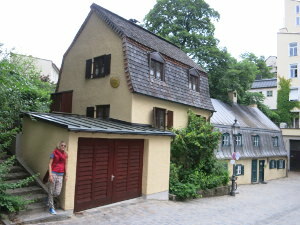 Some of the more well known places are Stachus, Schloss Nymphenburg, and the Englische Garten. 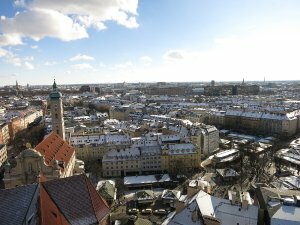 Insider tip: Continue reading about the top 10 things to do in Munich if you want to know more about some lesser-known places/activities in Munich. If you were unsure before about whether you should move to Munich or not, after all these first pieces of information, you will find no reason why not moving to Munich. Are you a student? Great for you, as Munich is home to several world class universities as well as universities of applied sciences. Are you looking for a job in Munich? Awesome, Munich has many very well paid jobs from the service industry to high tech companies. Best of all, wages in Munich are higher than in most other German cities. Are you planning to enjoy life? It is your lucky day as Munich will keep you entertained for years. 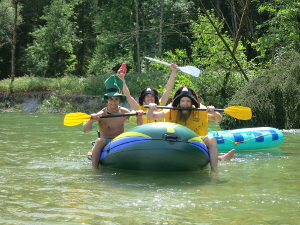 And for all others, you will also never be bored in Munich – that’s guaranteed! The time is right for all of you to prepare moving to Munich now.